Reliance vs Amazon: Can Bezos beat Ambani without getting bruised? A $2.5 billion spending spree involving more than two dozen deals provides some insight into how Mukesh Ambani is piecing together a strategy to take on Amazon.com Inc. in India. Asia’s richest man is sharpening his focus on e-commerce with a string of tiny acquisitions and stake purchases to face the world’s largest online retailer, after shaking up India’s telecommunications industry with cheap data and free calls. The acquisitions represent a new strategy for Ambani’s Reliance Group, whose founder -- his father Dhirubhai Ambani -- built a petrochemicals business and the world’s largest oil-refining complex from scratch. It’s a clear pivot toward consumer offerings in a country that’s becoming a battleground for giants such as Amazon.com and Walmart Inc.’s Flipkart Online Services Pvt. “The deals may be tiny, but it’s more likely that they are putting together a team of talented people by acquisitions, who can then be invested in to build out larger platform products,” said Kunal Agrawal, an analyst with Bloomberg Intelligence. Ambani is racing to grab a share of an online shopping market that Morgan Stanley estimates will grow to be valued at $200 billion by 2028 from about $30 billion last year. India will have 829 million smartphone users by 2022, according to Cisco Systems Inc., from a projected half a billion this year. That means a potential surge in demand for online services and products from music to food delivery, electronic gadgets and clothes. Ambani outlined his plan to shareholders in July, saying the effort will involve the group’s unlisted businesses Reliance Retail Ltd. and Reliance Jio Infocomm Ltd. He has already spent about $36 billion on Jio, which has rolled out a nationwide 4G network and fibre broadband infrastructure, causing some established rivals to pull back. The platform will use augmented reality, holographs and virtual reality to create an “immersive shopping experience,” said Ambani, 61. Reliance’s consumer businesses will contribute nearly as much to the conglomerate’s overall earnings as its bread-and-butter energy businesses by the end of 2028, he said. The service will seek to get on board the millions of mom-and-pop stores that dominate the Indian retail market, providing heft to its operations. Chains and large department stores account for only 10 per cent of the market. 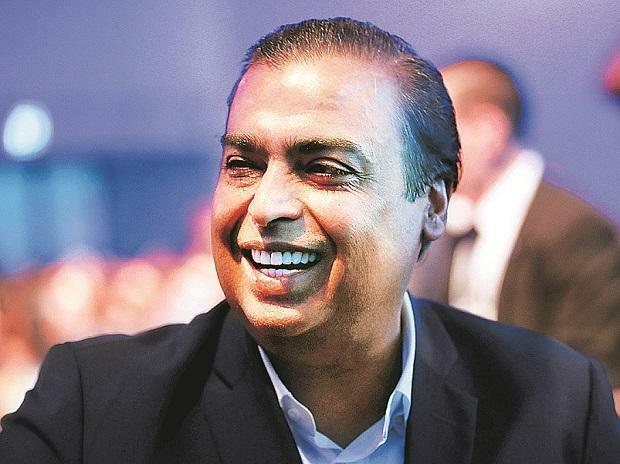 The Reliance e-commerce platform would enable small merchants to “do everything that large enterprises and large e-commerce players are able to do,” Ambani said. A spokesman for Reliance Industries declined to comment on the progress of the plans. The acquisitions will help bolster this network of partners. Last week, Reliance said it would spend 7 billion rupees ($101 million) to buy and fund the expansion of Haptik Infotech Pvt., a company that provides customer support chat services using artificial intelligence. Radisys Corp. will help Reliance in enhancing its presence in the so-called Internet of Things and 5G in a bid to launch its broader e-commerce business, while Vakt Holdings will build a digital ecosystem leveraging block-chain technology. Grab a Grub will help Reliance deliver food, groceries and other merchandise using bikes as a delivery method in a hyper-local approach. Infibeam Avenues will help create e-commerce market places, Mint reported on its website. The “acquisitions will help Reliance create a unique and a very powerful digital economy ecosystem for Reliance, which is way beyond simple merchandise e-commerce,” says Arvind K. Singhal, chairman and managing director of Technopak Advisors, a management consulting firm. The combined value of the acquisitions doesn’t include a recently terminated 2017 deal by Jio to buy airwaves, towers and fiber assets for 173 billion rupees ($2.5 billion) from younger brother Anil Ambani’s Reliance Communications Ltd.
Ambani’s e-commerce plans have already won the support of investors. Shares of Reliance Industries Ltd. surged 48 percent in the past 12 months and touched a record high on April 1. The rally boosted Ambani’s net worth by $9.7 billion this year to $54 billion, according to the Bloomberg Billionaires Index. While Ambani puts together the building blocks to take on Amazon and Walmart, the broader fight is already taking shape in India. In a move widely interpreted as extending a helping hand to home-grown business, the government imposed late last year restrictions on the global giants, requiring them to cut cash-back payments and discounts -- methods that have been criticized by smaller sellers who’ve accused the companies of predatory pricing. To adjust to the rules, Amazon and Walmart have removed thousands of products from virtual shelves and must redraw contracts with merchants and brands as well as brace for a full-fledged e-commerce policy that is being reviewed. Representatives for both Walmart and Amazon declined to comment. As the battle lines are drawn, clues to how Reliance could use its might in its latest venture may be found in the way Ambani reshaped India’s telecommunications landscape with Jio over two years. That approach led many rivals to retreat, including brother Anil’s Reliance Communications.